We believe in providing all our patients with a positive experience in a nurturing environment. We look forward to meeting you! Click below for details of our services. Trust your appearance to a physician trained in the art and science of skin, a board-certified dermatologist. Beautiful skin starts on the inside and should be trusted to a dermatologist. A daily, healthy lifestyle pared with appropriate skin care equals a more beautiful you! We teach each of our patients to love their skin with daily use of sunscreen and appropriate skin products. Upon entering our Frisco dermatology office, our caring staff will pamper you. Whether it's a rash, acne or skin cancer, rest assured you are in great hands. We are conveniently located off the northwest corner of Legacy Road and Warren Road in the Victory at Stonebriar Park development. Our Frisco dermatology office serves the communities of Frisco, McKinney, Plano, Allen, Dallas, Little Elm, The Colony, Denton, Celina, Prosper, Aubrey, Sherman and all of North Texas. 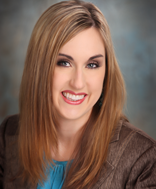 Call for our top Frisco dermatologist today. 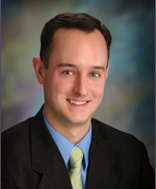 Dr. Brent Spencer is a board-certified dermatologist and fellowship-trained Mohs surgeon specializing in skin cancer recognition, skin cancer surgery (Mohs surgery), and cosmetic dermatology. 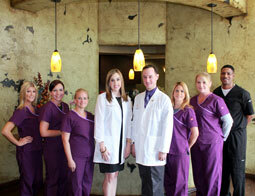 He offers his patients the latest, state-of-the-art procedures for all your skin concerns from infancy to geriatrics. After completing a dermatology residency and becoming board-certified, Dr. Spencer continued onto Virginia Commonwealth University for formal training in Procedural Dermatology & Mohs Surgery. Therefore, he can precisely utilize his expertise of skin cancer removal, microscopic tissue analysis, and advanced reconstructive techniques to offer his patients the highest cure rates for treating skin cancer with great cosmetic outcomes. Professional biography and publications by Brent Spencer, M.D. Visit our online store to see all of our latest specials and enroll in our loyalty program!